We’re delighted to announce the launch of the new Hot Rocks site! We pride ourselves on our friendly team, our wide selection of freshly prepared food, and of course our prime location on Bournemouth beach. It’s been a busy few months, but we’re excited to share our completed makeover with you. We’ve been working with the brilliant creatives at Salad to develop our website and we think it really captures the essence of Hot Rocks - summer cocktails in the sun, afternoon coffees and evening party banquets. ‘We’re really pleased with the look and feel of our new website. Salad were able to meet our deadline to ensure we launched the new and improved site for our customers before the summer period. 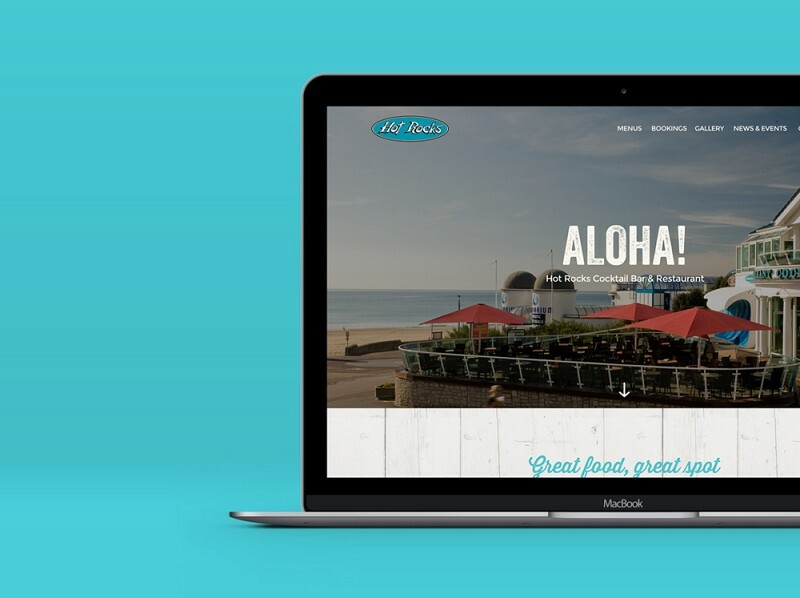 They’ve helped us to develop a more user-friendly online experience with a helpful new function allowing customers to book online.’ - John Green, Hot Rocks owner. Have a look around and as always, we welcome any feedback.